Razer obviously isn't known for its smartphones. 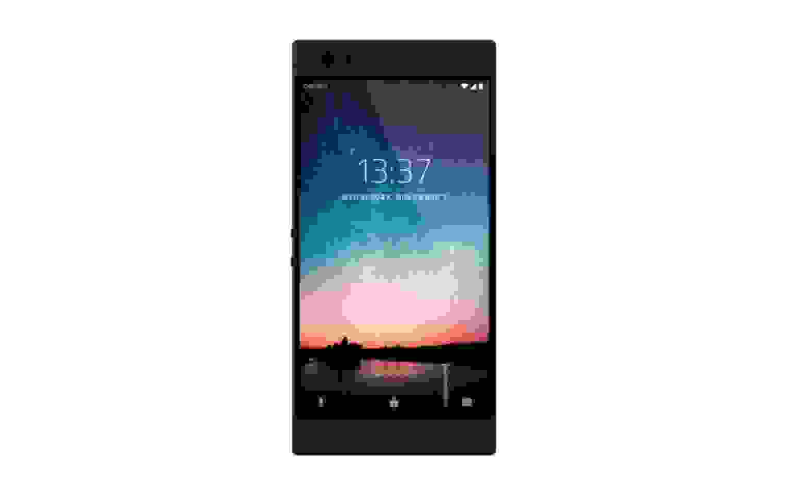 But with the company's recent acquisition of Nextbit, many of us have been eagerly awaiting a potential Razer smartphone of sorts. Just two weeks ago, a picture of the alleged Razer device leaked showing off its dual cameras. 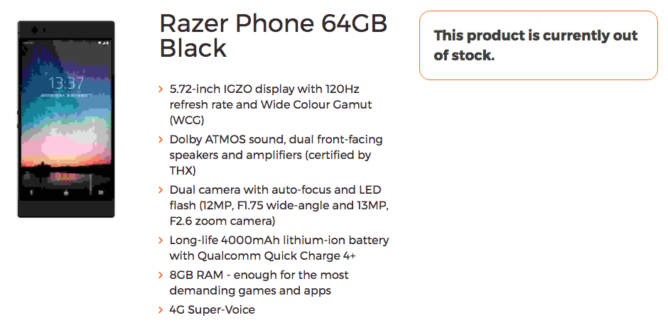 Now, a mobile carrier in the UK has leaked a product page for the Razer Phone, and potato photo aside, it's mighty interesting. According to the product page that British mobile provider 3G UK posted, the Razer Phone will have some serious power under the hood. It'll sport a 120Hz 5.72" IGZO display, as well as 8GB of RAM, 64GB of storage, a giant 4000mAh battery with Qualcomm Quick Charge 4.0+, and THX-certified dual front-facing speakers with Dolby ATMOS. The dual camera setup out back consists of a 12MP f/1.75 wide-angle sensor and a 13MP f/2.6 zoom unit. There's also something called "4G Super-Voice" listed, which appears to be some sort of tech that prevents dead zones. It looks like the phone will run a stock-ish version of Android, given the clean-looking lock screen. Oh, and check out that 13:37 Easter egg in the potatocam photo. Razer has a sense of humor. The first image of the Razer Phone we saw. Several specs aren't listed here (and the 'Specifications' tab contains nothing), but we did come across a GFXBench page from a few weeks ago that says the Razer Phone will have a 1440p display, a Snapdragon 835, a 7MP front-facing camera, and Android 7.1.1 Nougat. Given how the rest of the specs listed there match up with those that 3G UK did provide, the authenticity isn't questionable. The Nextbit Robin-inspired design matches up with the TechByte leaked image we saw initially, complete with sharp corners and small circular buttons. A reddit user (/u/The_King_of_Okay) dug up two links pointing to Razer becoming an official partner with 3G UK and Three as a whole (3G is, confusingly, a subsidiary of Three), indicating that Razer is working hard to expand its smartphone brand. In fact, the 3G UK press release goes as far as to say, "We may even see Razer-branded handsets exclusively on Three, offering all the power needed by gamers." 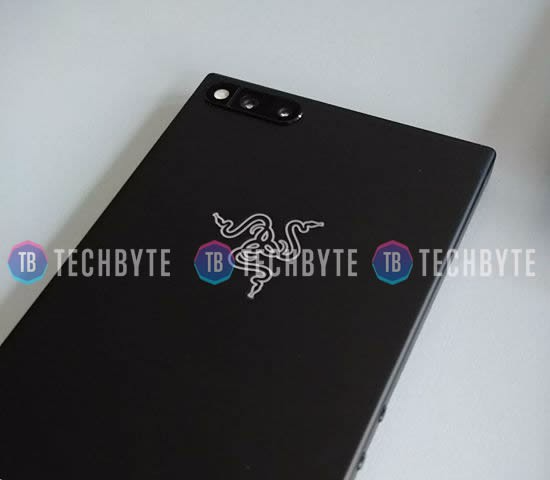 Razer is expected to have its "biggest unveiling" on November 1st, and I wouldn't be surprised if the Razer Phone ended up being the subject of it. After all, this is a big stepping stone for a primarily PC-focused company. Given the specs listed here, I personally can't wait to see what Razer has in store.